The collection "KAGE" is inspired by traditional Japanese aesthetics and has incorporated a Japanese resist-dye technique called 'Shibori' - which is a process of manipulating fabric through 3 way folds (folding/crumpling/twisting/braiding, etc) and securing it prior to dyeing. 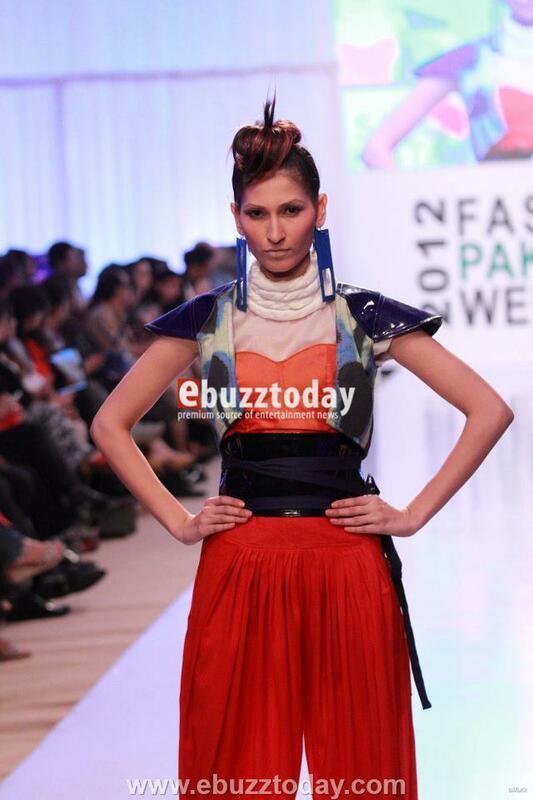 We can always trust Sanam to come up with something totally out of the box. From the day I discovered Sanam at Labels - till now, I have found that she will always bring something new to the table. Loved the forms, silhouettes, colour pallete of indigo, sky blue, red, orange and black. 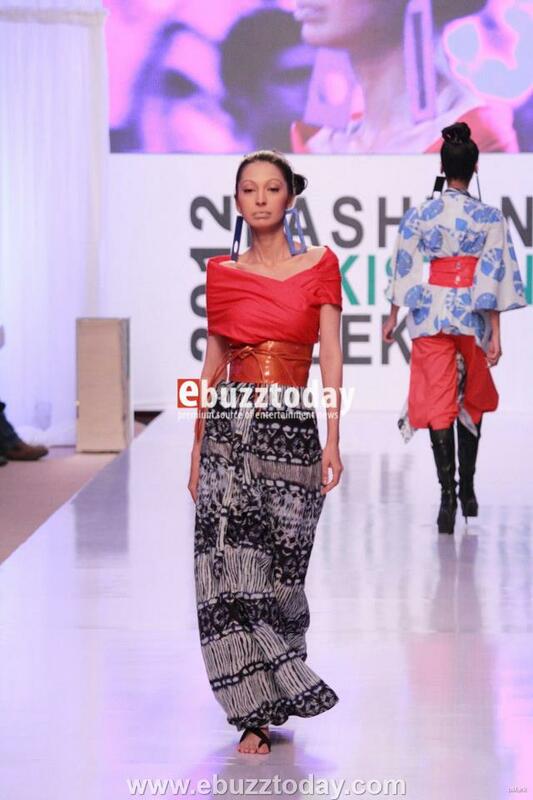 Some pieces even had a slight sci-fi feel to them, which is also very modern day Japan. 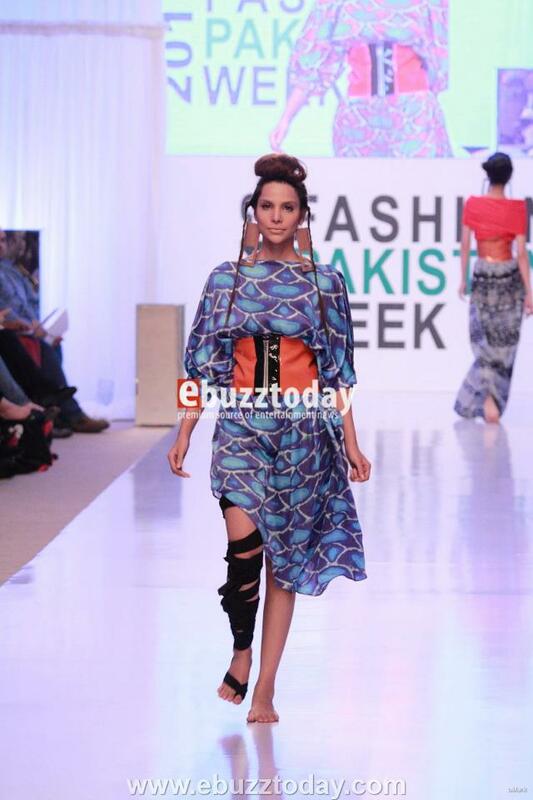 The styling by Maha Burney was spot on as per usual - loved the earrings especially. 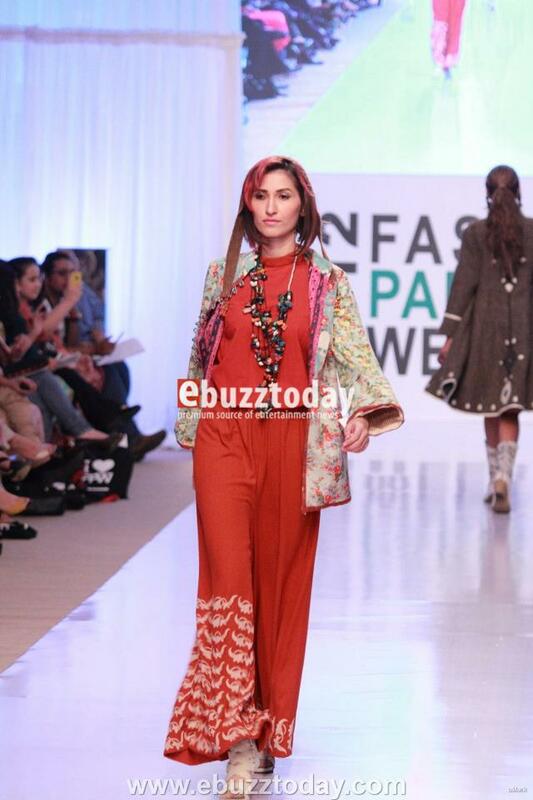 Everything came together with a bang! 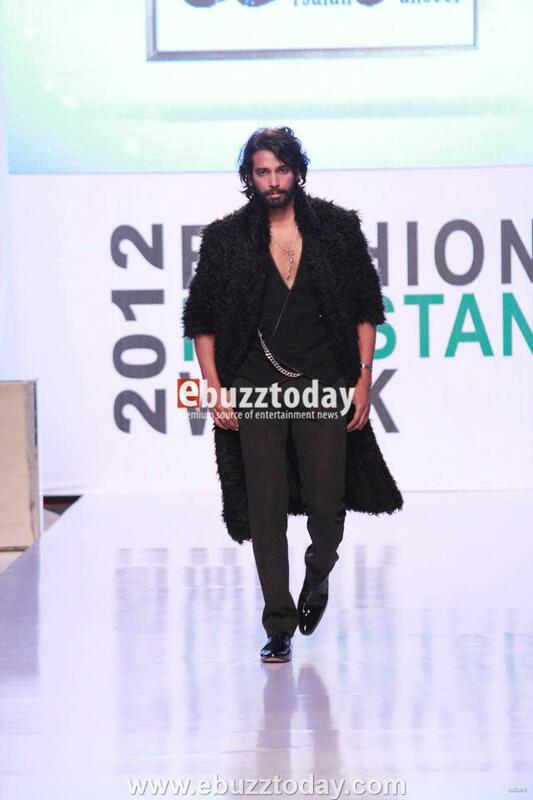 Leather and fur was emphasized as a wardrobe must have for men this winter. 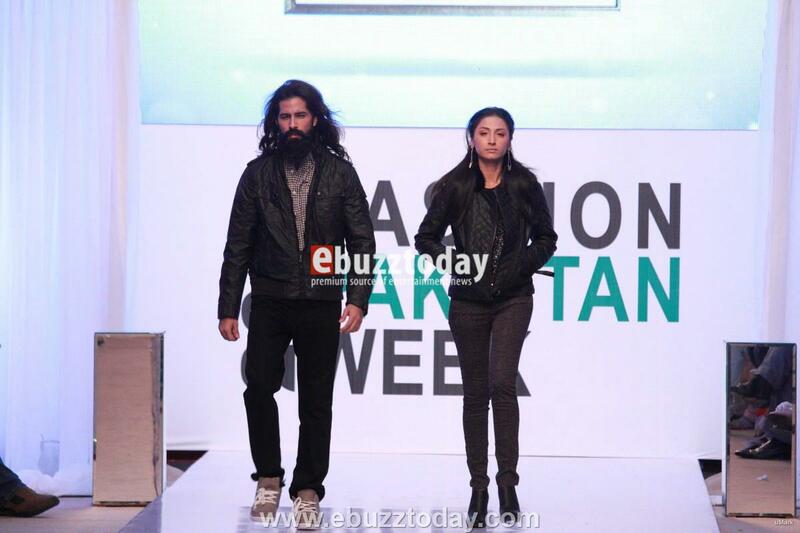 The look is very urban (Collection itself is called 'Urban Slick') and rugged. 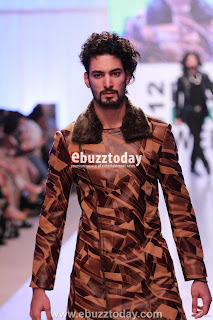 Love the embossed leather used on some of the jackets giving it a snakeskin/exotic skin feel. The incorporation of different textures really added to the collection - including the fur collars and leather trimmings.The colour palette started off dark with blacks and grays, then colour was introduced - sky blues, plum, reds, greens. I thought the collection was an absolute masterpiece. A lot of attention to detail and the models rocked the look with their styling. 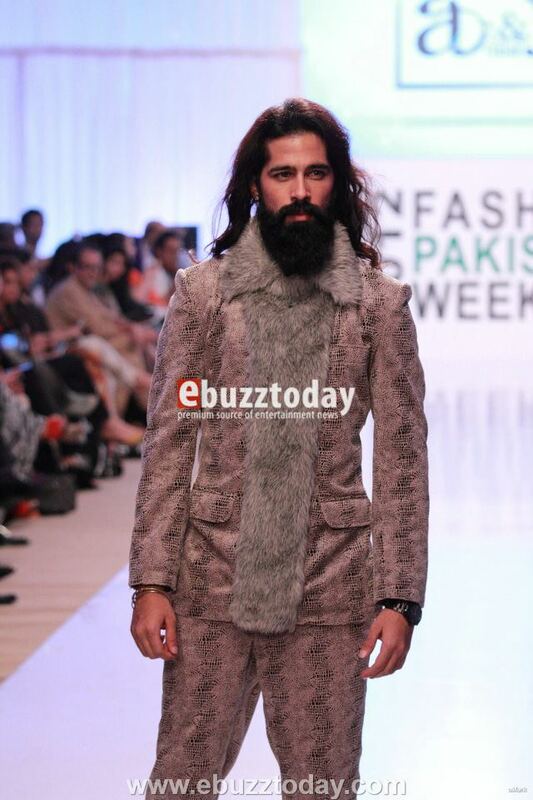 I was certainly wow'd off my seat. Pictures don't seem to do this collection justice. 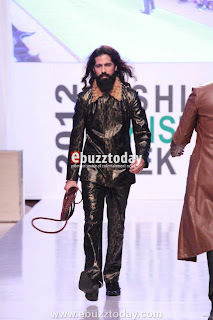 Though I have to say, this collection is only for a certain kind of man, not many men will be able to pull of this look. 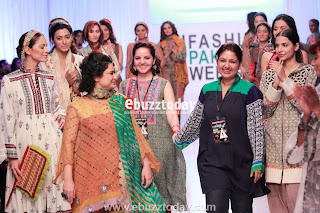 Once again I'd really like to express that I just do not understand why British high street stores show for FPW?! It makes no sense to me. 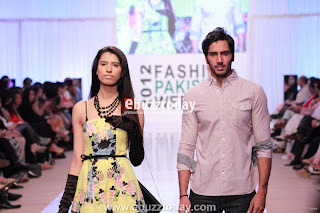 That being said, extremely well styled collection, showcasing their full range. 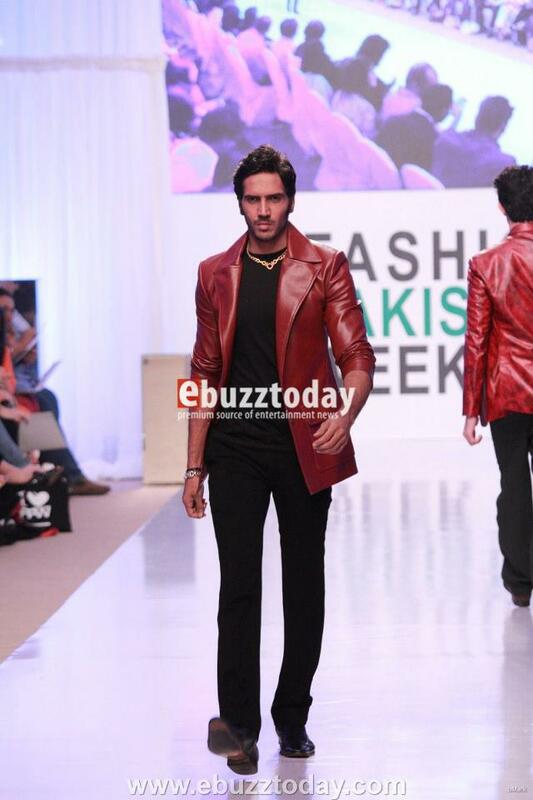 Runway direction was fabulous. Showed the complete range from beach/summer wear to casual wear, to party wear - as well as office wear. 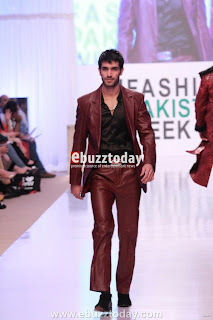 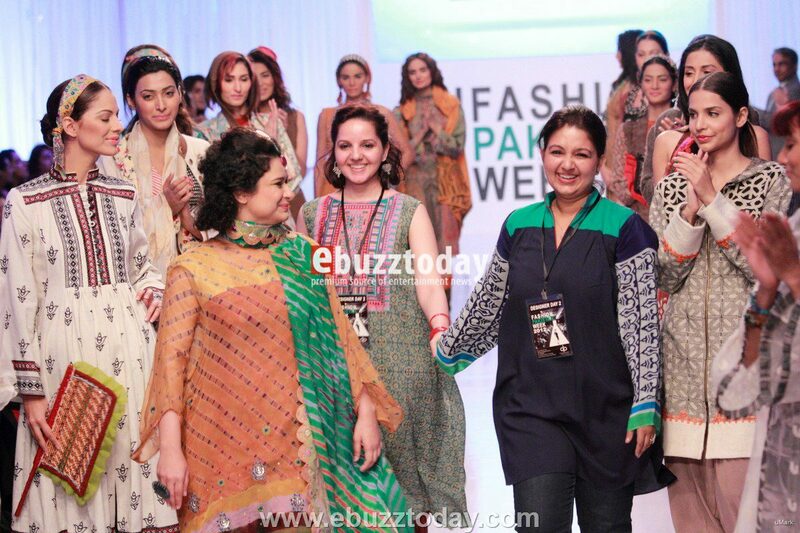 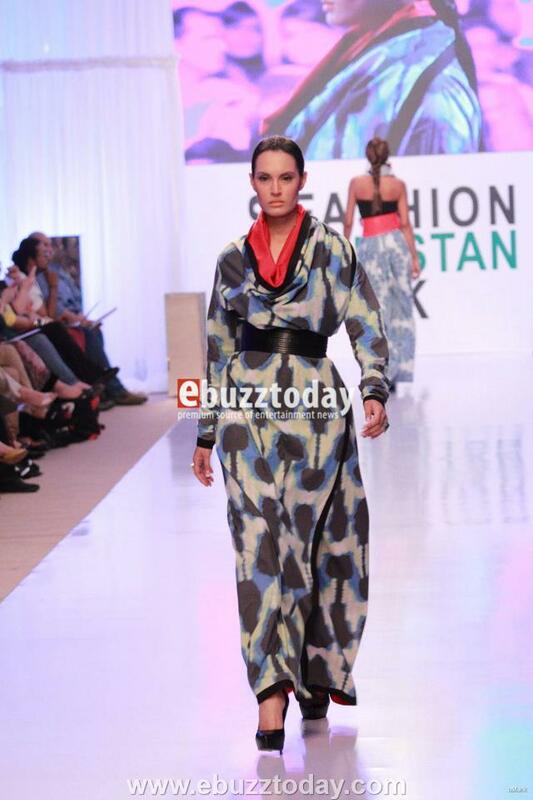 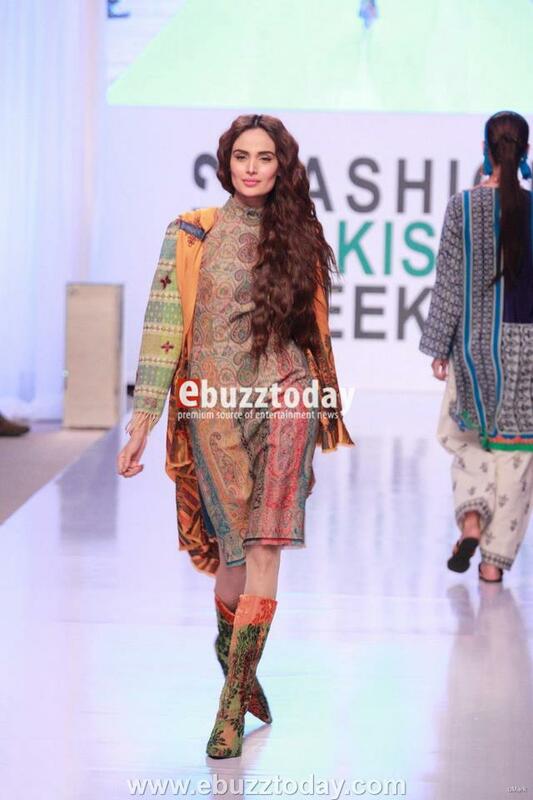 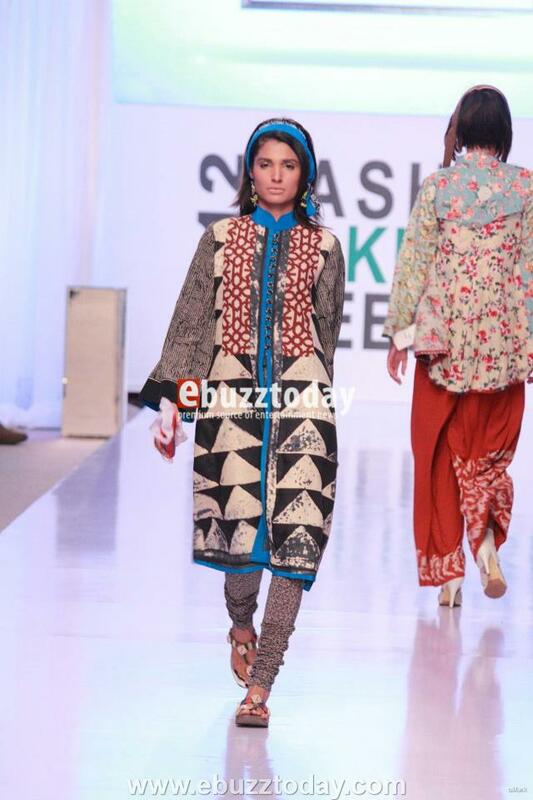 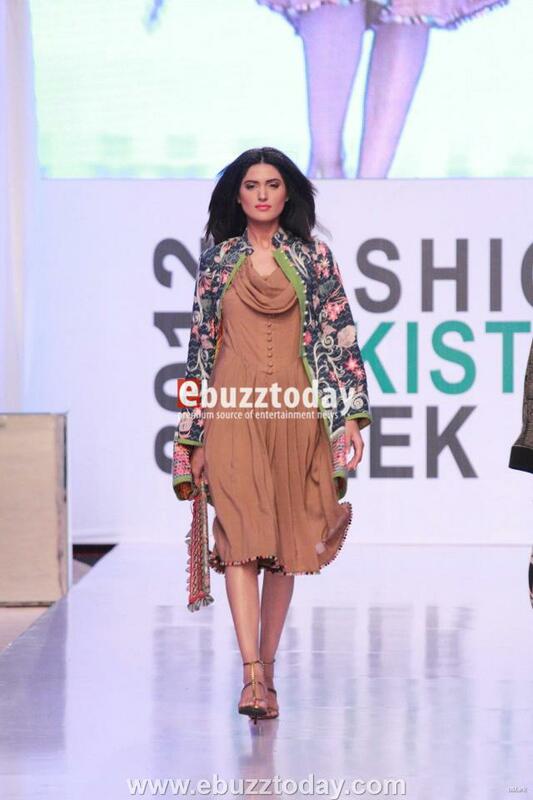 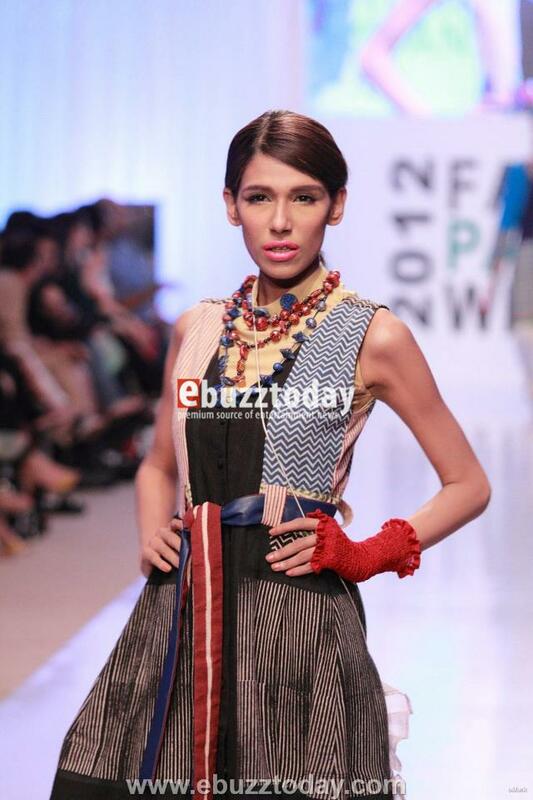 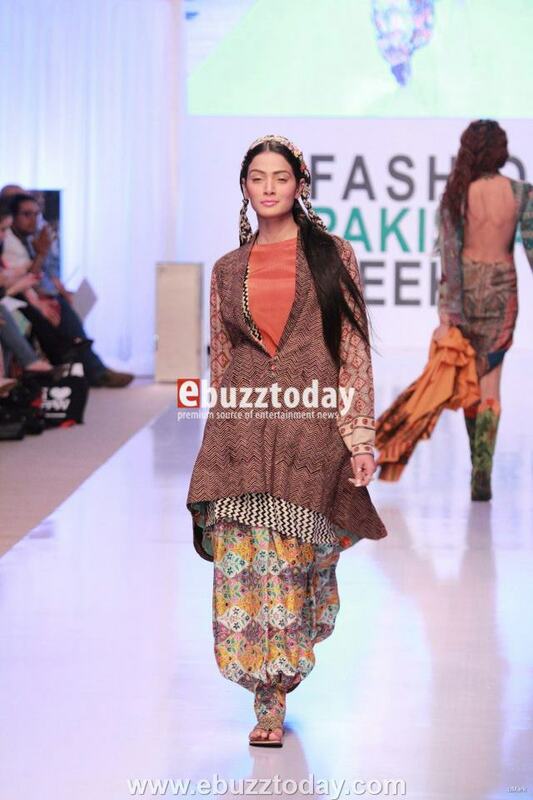 This collection showcased the imprint of Chitral meeting the block prints of Punjab and Sindh. Unique folding techniques incorporating dori and leather detailing - bringing out the cosmopolitan flair in the traditional woman. 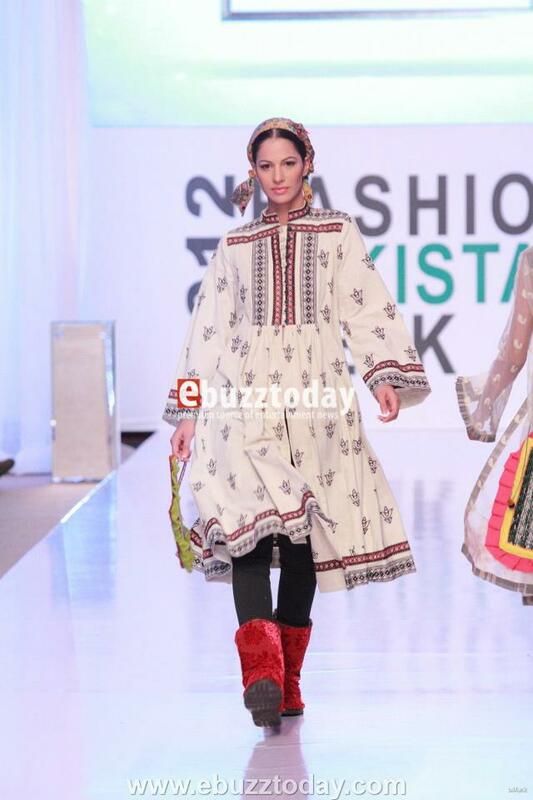 I adore when designers celebrate our country and culture and the richness it has to offer. 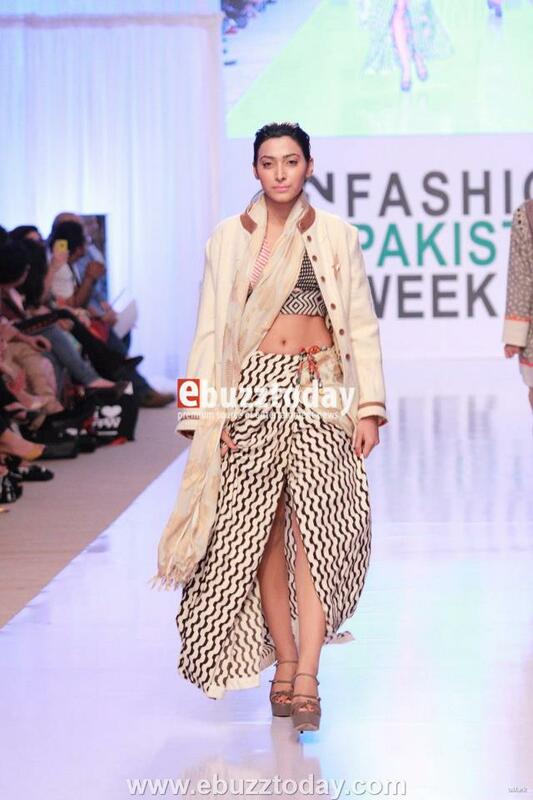 So many aspects of design in our culture can be incorporated in Western wear and that is exactly what the Baani D girls do - with a boho twist. Enjoyed watching the fusion in action, and how boots were paired with all the outfits. 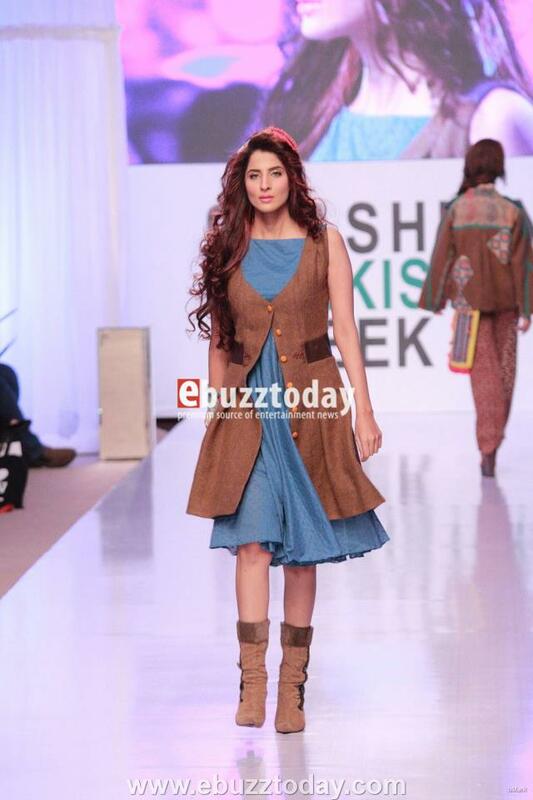 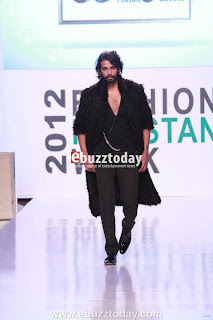 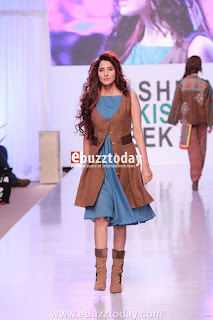 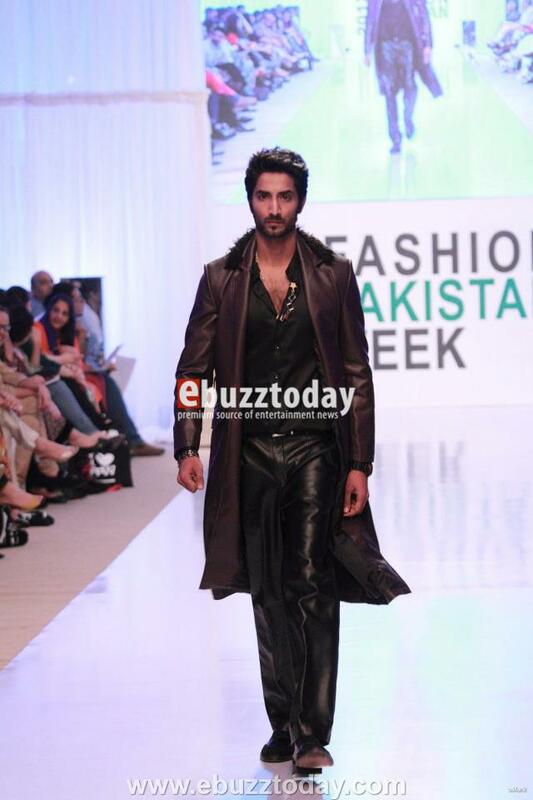 Last FPW Wardha Saleem pieces were styled with bell booties and each look made a major impact. 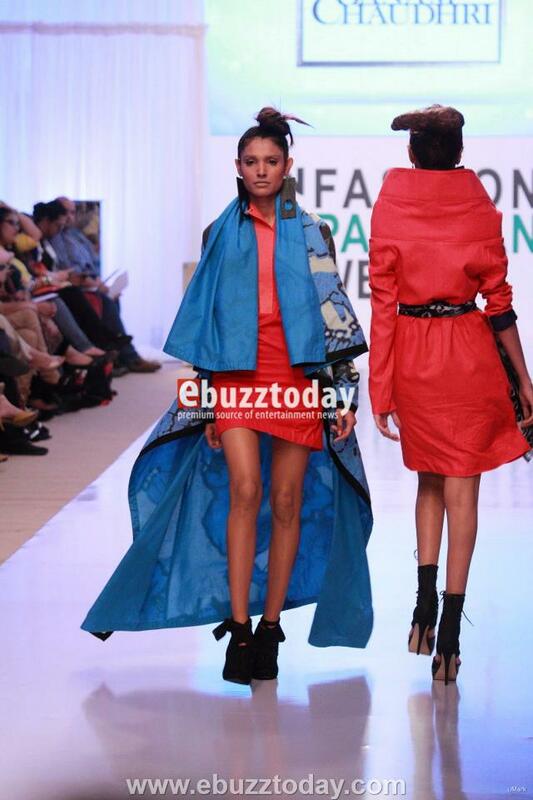 The folding technique was very interesting and each piece was so unique speaking its own story. 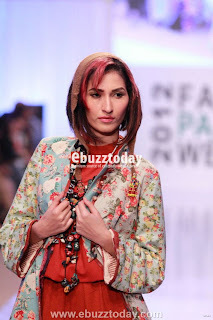 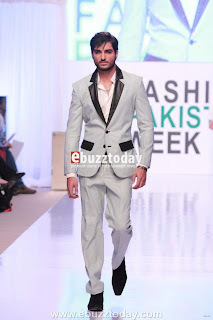 One piece that stood out for me was the blue Kashmiri type jacket with floral embroidery and an apple green trimming - Beautiful!